Alcohol impairs the efficiency of the human body. [Figure 17-8] Studies have shown that consuming alcohol is closely linked to performance deterioration. Pilots must make hundreds of decisions, some of them time-critical, during the course of a flight. The safe outcome of any flight depends on the ability to make the correct decisions and take the appropriate actions during routine occurrences, as well as abnormal situations. The influence of alcohol drastically reduces the chances of completing a flight without incident. Even in small amounts, alcohol can impair judgment, decrease sense of responsibility, affect coordination, constrict visual field, diminish memory, reduce reasoning ability, and lower attention span. As little as one ounce of alcohol can decrease the speed and strength of muscular reflexes, lessen the efficiency of eye movements while reading, and increase the frequency at which errors are committed. Impairments in vision and hearing can occur from consuming as little as one drink. Figure 17-8. Impairment scale with alcohol use. The alcohol consumed in beer and mixed drinks is ethyl alcohol, a central nervous system depressant. From a medical point of view, it acts on the body much like a general anesthetic. The “dose” is generally much lower and more slowly consumed in the case of alcohol, but the basic effects on the human body are similar. Alcohol is easily and quickly absorbed by the digestive tract. The bloodstream absorbs about 80 to 90 percent of the alcohol in a drink within 30 minutes when ingested on an empty stomach. The body requires about 3 hours to rid itself of all the alcohol contained in one mixed drink or one beer. While experiencing a hangover, a pilot is still under the influence of alcohol. Although a pilot may think he or she is functioning normally, motor and mental response impairment is still present. Considerable amounts of alcohol can remain in the body for over 16 hours, so pilots should be cautious about flying too soon after drinking. Altitude multiplies the effects of alcohol on the brain. When combined with altitude, the alcohol from two drinks may have the same effect as three or four drinks. Alcohol interferes with the brain’s ability to utilize oxygen, producing a form of histotoxic hypoxia. The effects are rapid because alcohol passes quickly into the bloodstream. In addition, the brain is a highly vascular organ that is immediately sensitive to changes in the blood’s composition. For a pilot, the lower oxygen availability at altitude and the lower capability of the brain to use the oxygen that is available can add up to a deadly combination. Intoxication is determined by the amount of alcohol in the bloodstream. This is usually measured as a percentage by weight in the blood. 14 CFR part 91 requires that blood alcohol level be less than .04 percent and that 8 hours pass between drinking alcohol and piloting an aircraft. A pilot with a blood alcohol level of .04 percent or greater after 8 hours cannot fly until the blood alcohol falls below that amount. Even though blood alcohol may be well below .04 percent, a pilot cannot fly sooner than 8 hours after drinking alcohol. Although the regulations are quite specific, it is a good idea to be more conservative than the regulations. Further, 14 CFR part 91, section 91.17 prohibits the use of any drug that affects the person’s faculties in any way contrary to safety. There are several thousand medications currently approved by the U.S. Food and Drug Administration (FDA), not including OTC (over the counter) drugs. Virtually all medications have the potential for adverse side effects in some people. Additionally, herbal and dietary supplements, sport and energy boosters, and some other “natural” products are derived from substances often found in medications that could also have adverse side effects. 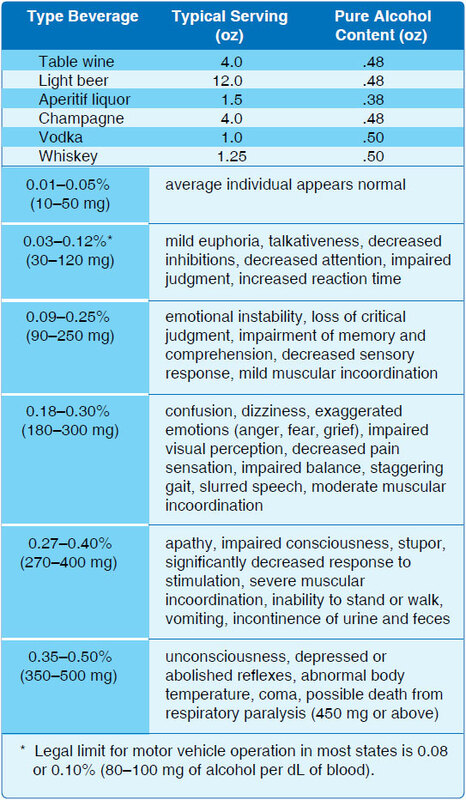 While some individuals experience no side effects with a particular drug or product, others may be noticeably affected. The FAA regularly reviews FDA and other data to assure that medications found acceptable for aviation duties do not pose an adverse safety risk. Drugs that cause no apparent side effects on the ground can create serious problems at even relatively low altitudes. Even at typical general aviation altitudes, the changes in concentrations of atmospheric gases in the blood can enhance the effects of seemingly innocuous drugs that can result in impaired judgment, decision-making, and performance. In addition, fatigue, stress, dehydration, and inadequate nutrition can increase an airman’s susceptibility to adverse effects from various drugs, even if they appeared to tolerate them in the past. If multiple medications are being taken at the same time, the adverse effects can be even more pronounced.